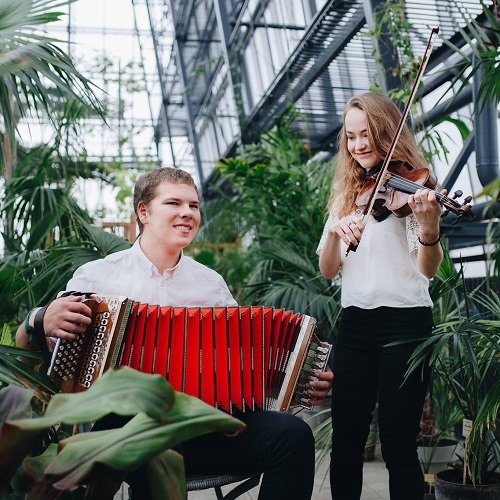 Duo Mänd/Krüsban is an energetic and joyful combination of Estonian accordion and violin, who mostly perform traditional Estonian music with some additional foreign dance tunes. They are well loved for their traditional, yet fresh and youthful approach. This ensemble is the first winner of the Youth Traditional Music Bands’ competition.